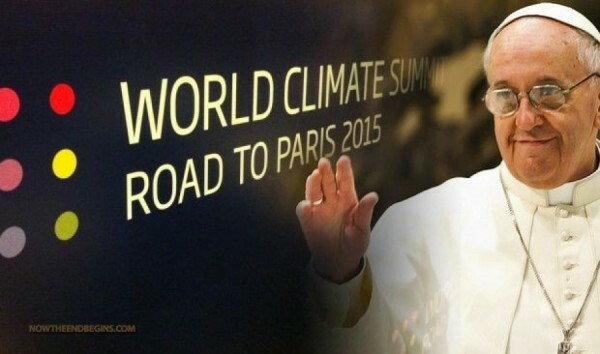 When Pope Francis in May of 2015 issued his Laudata Si encyclical which called climate change a moral issue, it got global attention. Yet despite extensive international media coverage of worldwide condemnation of President Trump’s decision to remove the United States from the Paris agreement, there has been relatively little coverage of why the Trump decision should be understood not only as a dangerous break with the international community but as a profoundly immoral choice. Climate change has certain features that more than any other global environmental problem call for responding to it as a moral problem. First, it is a problem caused mostly by high-emitting developed countries that are putting relatively low emitting developing countries most at risk. Second, the potential harms to the most vulnerable nations and people are not mere inconveniences but include catastrophic threats to life and the ecological systems on which life depends. Third, those people and nations most at risk can do little to protect themselves by petitioning their governments to shield them; their best hope is that high-emitting nations will respond to their obligations to not harm others. Fourth CO2 emissions become well mixed in the atmosphere so that CO2 atmosphere concentrations are roughly the same around the world regardless of the source of the emissions. Therefore unlike other air pollution problems which most threaten only those nations and communities located within the pollution plume, greenhouse gas emissions from any one country are threatening people and other countries around the world. 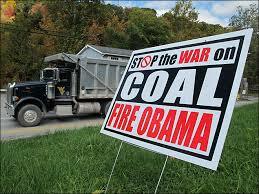 This means that US greenhouse gas emissions are causing and threatening enormous harm all over the world. 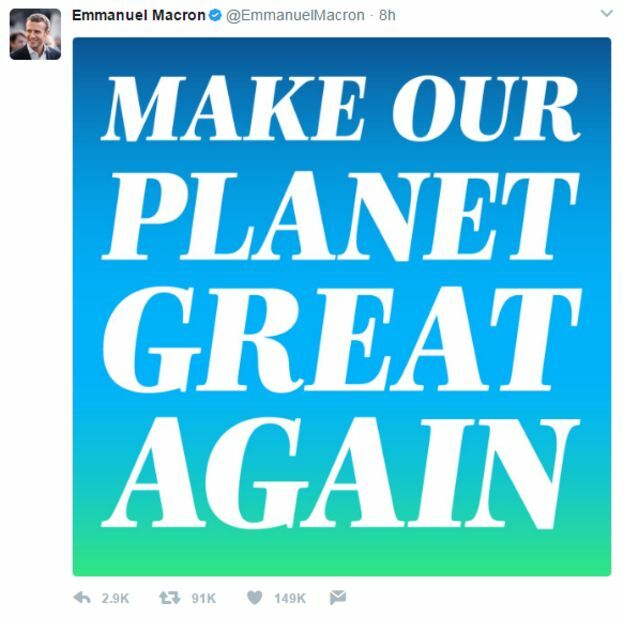 Under the 2015 Paris accord, 195 nations agreed to cooperate to limit warming to as close as possible to 1.5°C and no more than 2.0°C. Even nations that have historically opposed strong international action on climate change, including most of the OPEC countries, agreed to this warming limit goal because there is a broad scientific consensus that warming above these amounts will not only cause harsh climate impacts to millions around the word, but could lead to abrupt climate change which could create great danger for much of the human race. 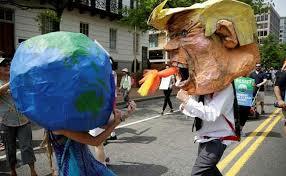 The international community’s condemnation of the Trump decision is attributable to the understanding that achieving the Paris agreement’s warming limit goals will require the cooperation of all nations and particularly high emitting nations including the United States to adopt greenhouse gas reduction targets more ambitious than nations have committed to thus far. For this reason, most nations view the Trump decision as outrageously dangerous. 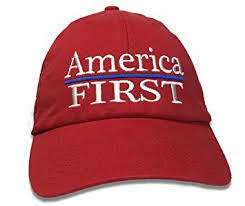 Trump justified his decision by his claim that removing the United States from the Paris agreement was consistent with his goal of adopting policies that put America first. According to Trump staying in the Paris Agreement would cost America as much as 2.7 million lost jobs by 2025 including 440,000 fewer manufacturing jobs. This claim was based on a dubious study by National Economic Research Associates which was funded by the U.S. Chamber of Commerce and the American Council for Capitol Formation. This study has been widely criticized for several reasons including that it neither counted the number of jobs which would be created in the renewable energy industry in a transformed energy sector nor the economic benefits of preventing climate change caused harms. Yet it is the Trump assertion that the United States can base its energy policy primarily on putting US economic interests first while ignoring US obligations to not harm others that most clearly provokes moral outrage around the world. The moral principle that people may not harm others on the basis of self-interest is recognized by the vast majority of the world’s religions and in international law under the “no harm principle”. The “no- harm’ rule is a principle of customary international law whereby a nation is duty-bound to prevent, reduce, and control the risk of environmental harm to other nations caused by activities within the nation For these reasons, the Trump decision on the Paris Agreement is a moral travesty. If Pope Francis is Right that Climate Change is a Moral Issue, How Should NGOs and Citizens Respond to Arguments Against Climate Policies Based on Unacceptable National Costs? Pope Francis’ Encyclical, Laudato Si, On Care for Our Common Future, is attracting high-level attention around the world for its claim that climate change is a moral problem which all people have a duty to prevent. 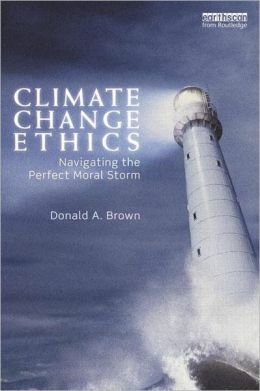 If his claim that climate change is essentially and fundamentally a moral problem is widely accepted, a conclusion that is strongly supported by basic ethical theory as explained on this website many times, it has the potential to radically transform how climate change has been debated in many nations around the world for the last twenty-five years because opponents of climate change policies have been very successful in framing the public debate so that it has focused on several issues almost exclusively. This framing has enabled the climate change debate to ignore ethical and moral issues that should have been part of the debate. The opponents of climate change policies have succeeded in opposing proposed climate change law and policy by claiming that government action on climate change should be opposed because: (1) it will impose unacceptable costs on national economics or specific industries and destroy jobs, (2) there is too much scientific uncertainty to warrant government action, or (3) it would be unfair and ineffective for nations like the United States to adopt expensive climate policies as long as China or India fail to adopt serious greenhouse gas emissions reductions policies. Common to these arguments is that they have successfully framed the climate change debate so that opponents and proponents of climate policies debate facts about costs, scientific uncertainty, or economic benefits of climate change policies, rather the moral problems with these arguments. However, if climate change is understood as essentially a moral and ethical problem it will eventually transform how climate change is debated because the successful framing by the opponents of climate change policies that have limited recent debate to these three arguments, namely cost, scientific uncertainty, and unfairness of reducing ghg emissions until another nation does so can be shown to be deeply ethically and morally flawed. This article, the first of three in a series, proposes what NGOs, governments interested in stronger action on climate change, and citizens should do to expose the obvious and deep moral problems with the most common arguments made by opponents of climate change policies. This entry describes questions that should be asked of opponents of national action on climate change who make arguments against climate policies on the basis of unacceptable costs, economic impacts, or job loses. Although policy-makers need to consider some cost issues to make sure that ghg emissions reduction goals are achieved at minimum cost, cost arguments made in opposition to climate policies are often ethically unacceptable. Later entries in this series will identify questions that should be asked to counter arguments made against national climate change policies on the basis of scientific uncertainty and unfairness or ineffectiveness if China or another large ghg emitter nation do not act. 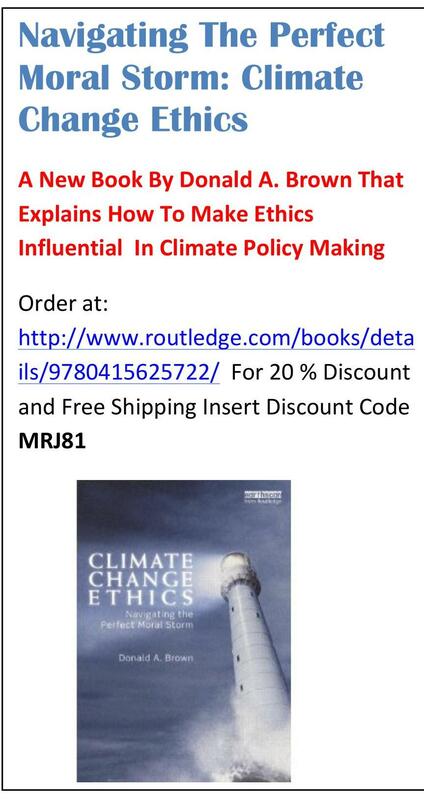 This series argues that NGOs, governments, and citizens should ask opponents of climate change policies questions designed to bring attention to the obvious ethical and moral problems with arguments made by opponents of climate change policies based on cost. Each question is followed by a brief description of the moral problem that the question is designed to bring to light. II. Questions to be asked of those opposing government action on climate change on the basis of cost to the economy, cost to specific industries, job destruction, or other economic arguments that oppose adoption of climate change policies. This question is designed to expose a strong ethical and moral problem with those who refuse to reduce their ghg emissions on the basis of costs to them, a position that ignores that those harming others have strong ethical, moral, and legal responsibilities to not harm others. This strong ethical and moral responsibility is derivable both from the universally accepted moral principles including the widely accepted golden rule which requires people to treat others as they wish to be treated, and international law including, but not limited to: (a) the “no harm” rule which is a widely recognized principle of customary international law whereby a State is duty-bound to prevent, reduce and control the risk of environmental harm to other states, and a rule agreed to by all nations in the preamble to the UNFCCC, (b) the “polluter-pays principle” agreed to by almost all nations in the 1992 Rio Declaration, (c) human rights law which requires nations to assure that their citizens enjoy human rights, and (d) many other legal theories including tort law. Like question one, this question is designed to expose more explicitly that those nations who refuse to limit ghg emissions to their fair share of safe global emissions on the basis of cost to them alone are implicitly ignoring their very strong ethical duty to not kill or greatly harm others. 3. Do you deny that all high ghg emitting developed nations under the UNFCCC has a duty to adopt policies that prevent harms from climate change to human health and ecological systems on which life depends in other nations? 5. Do you agree that a nation that refuses to reduce its ghg emission to its fair share of safe global ghg emissions on the basis of cost to it is implicitly taking a position on how high atmospheric concentrations of ghgs should be allowed to rise and that the higher atmosphere ghg concentrations rise the more people and the ecological systems will be harmed?. 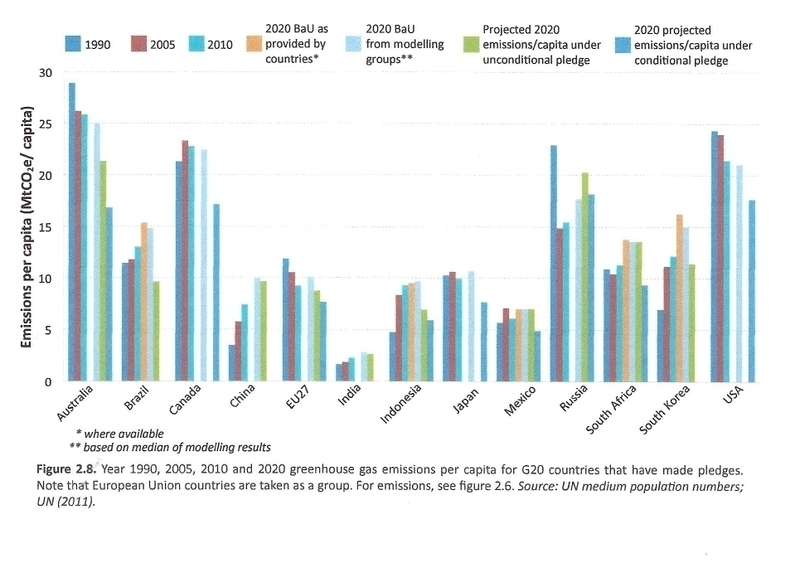 This question is designed to expose that refusals of nations to reduce their emissions to their fair share of safe global emissions is implicitly a position on acceptable levels of atmospheric ghg concentrations which is essentially a moral issue because a position on acceptable atmospheric ghg concentrations is a position on who shall be greatly harmed by human-induced climate change. 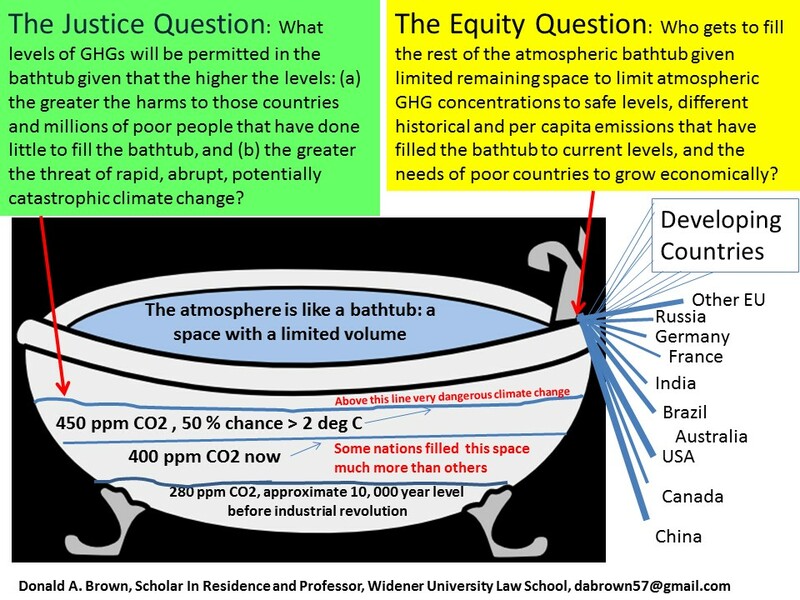 This question is designed to expose the fact that because delays in ghg emissions based on costs to the polluter makes the enormous threat of climate change much more difficult to solve and more likely that serious harms and damages will be experienced, therefore arguments for delays in reducing ghg emissions based upon cost raise moral and ethical issues because the delays are making the problem much worse, more difficult to solve, and great harms inevitable. This question is designed to expose the fact that a nation’s refusal to lower its ghg emissions to its fair share of safe global emissions on the basis of costs to it creates financial obligations to pay for resulting harms and damages. This question is designed to expose that fact that a nation which refuses to reduce its ghg emissions on the basis of costs to it have a strong duty to expressly consider the costs of damages created by inaction. 9. Given that the United States and most other developed nations have for over twenty-five years failed to adequately respond to climate change because of alleged unacceptable costs to each nation and that due to the delay ghg emissions reductions now needed to avoid potentially catastrophic climate change are much steeper and costly than what would be required if these nations acted twenty five years ago, is it just for the United States or other developed nations to now defend further inaction on climate change on the basis of cost to the narration? This question is designed to expose the fact that previous unwillingness of a nations to reduce their ghg emissions has caused dangerous delays which should be understood to create moral obligations to delay no longer to reduce the nation’s ghg emissions to its fair share of safe global emissions. 10. Do you believe that a nation who desires to delay to reduce its ghg emissions on the basis of costs to it, should have a responsibility to consult with those who will be harmed by the delay before the delay is initiated? This question is designed to expose the fact that procedural justice requires that that those nations who seek to put others at greater risk on the basis of cost to themselves has a duty as a matter of procedural justice to seek consensus from those who will likely be most harmed by non-action. Editors Note: The following entry has been written by guest bloger, Michael Hoexter. This entry was first published on the Web Site New Economic Perspectives on February 27, 2014. We republish this article with permission of the author because it contains a number of excellent points about the ethical dimensions of climate change particularly in regard to who should be understood to be responsible for the failure of the United States to take adequate action on climate change. This analysis concludes that different parties should be differentially responsible for inaction on climate change. In addition, the article makes several compelling arguments for the urgent practical need to understand climate change as an ethical and moral problem. The article also explains why government action on climate change is indispensable to an adequate climate change solution, that is, why market solutions such as cap and trade or even carbon taxes will not alone create an adequate US response to climate change. The climate crisis is an event with such profound personal and broadly social moral implications that many shy away from discussing the crisis itself let alone its ethical aspects. Via our society’s use of fossil fuels we are, if our combustion of these fuels remains unchecked and in addition we further destroy the carbon fixing capacity of natural systems, destroying almost all wealth, the likelihood of their being future civilizations, and even the possibility for existence for future generations. To continue ignoring climate change and effective climate action is definitely an après moi le deluge stance, an expression of callousness and self-absorption unsupportable by moral justification. Morality and ethics is here not an exotic preoccupation of a select group but a basic reality-check: does what we are doing make sense and promote the general ends to which these activities are devoted? How do we assess our own agency and role and those of others, in events that are occurring around us and will with very high likelihood exacerbate in the future? In addition to the lulling effects of the organized climate denial industry as well as propaganda for fossil fuels broadcast in all media channels, one of the difficulties facing climate change activism is that, taking effective, durable action is not primarily an individual phenomenon but a massive group enterprise, ideally with full participation and leadership by governments. It is difficult for people to understand how a sense of personal ethical obligation, which people may or may not feel, can translate into effective action, given the uncertainties and variability of the participation of others and of the varying, non-existent, or contrary commitments of social institutions to the necessary changes in our energy system. With some justification, people on the ground believe they are, in their isolation, too small and insignificant to remake the energy basis of society and the economy. Also, because the way to effective climate action is not clearly in mind, people who do not feel themselves to be in positions of power or influence might resent people pointing out, as I am doing now, their role, moral or otherwise, regarding climate change. We are living in an age where people feel that ethical appeals, more generally, are felt to be a hindrance to living one’s life unencumbered by obligations to others, that ethics competes with and impedes the light sense of freedom that is one of the sought-after states of mind in our time. Often this sense of freedom is defined by many throughout the developed and developing world as a choice of a variety of consumer goods for immediate or near-term consumption. The attachment to near-term pleasures can even turn into a form of climate nihilism, a philosophical rejection of ethics in favor of sensuous pleasure über alles. Nihilism’s formal severance from ethical considerations in turn leads ultimately to an acceptance or enactments of varying degrees of psychopathy/sociopathy and eventually to the collapse of civilization. As of late, the North American climate action movement and outspoken climate scientists such as Michael Mann have focused on counteracting the massive propaganda and obfuscation campaign that has delayed climate action. Fingers have been pointed at the fossil fuel industries and their role in creating clouds of doubt and confusion around the findings of climate science, while continuing to profit from climate change denial and or fossil fuel addiction. The climate movement is pointing out that unconventional fossil fuel extraction techniques (fracking, tar sands excavation, deep-water drilling, mountaintop removal coal mining) are leaving or will leave toxic wastes and scars on the landscape as the fossil fuel industry gouges and lacerates the earth in search of combustible fossil resources. The freight rail network in North America is being turned into a conduit for crude oil from the landlocked Canadian tar-sands and the Bakken Shale, as construction timelines and permitting decisions are awaited for new pipelines. It appears that conventional oil has reached its peak and is, as well, controlled by sovereign oil companies not the oil majors. 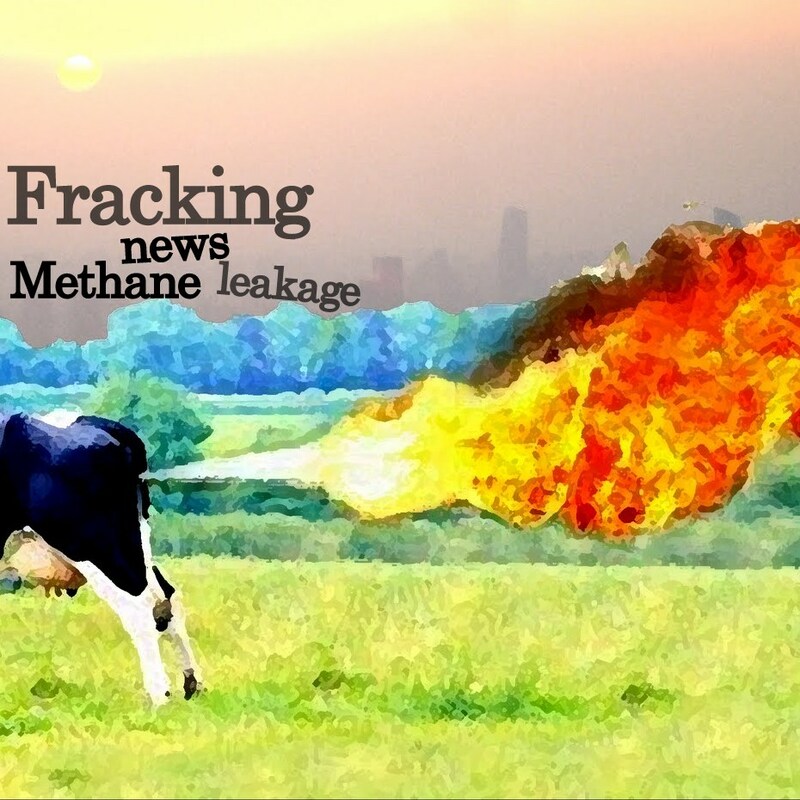 Local groups and national environmental organizations are attempting to combat fracking operations, pipeline build-out and crude-by-rail programs either by reference to their local damages and risks, or too little, in my opinion, via reference to the impact of these activities on global warming. I am active in groups that are focused on halting the expansion plans of the fossil fuel industries including the Keystone XL pipeline and yet the climate movement is still figuring out how a focus on local damages and pollution translate to action on the global long-term issue. The phrase “leave it in the ground” has started to gain currency, though it appears not have yet become the central demand of any national campaign. Recently, activists in our area have created the slogan “NIMBY => NOPE” (“’Not in My Back Yard’ to ‘Not on Planet Earth’”). While some of the defenders of the fossil fuel industries deny climate change, there are others like President Obama and those who support his energy policy, who simultaneously admit that climate change is a problem and continue encouraging the expansion of fossil fuel extraction and therefore its ongoing use. The MSNBC commentator Ed Schultz, known as a progressive, has voiced support for the expansion of the Keystone XL pipeline as does his frequent guest, the supposed progressive and would-be challenger to Hillary Clinton’s candidacy for President in 2016, former Governor Brian Schweitzer of Montana. Schultz, to his credit, has been devoting considerable time on his air to the issue of the pipeline, and may be reconsidering his stance. As another MSNBC commentator, Chris Hayes, points out, the stance of Obama and others, that they are against global warming but for the building of new pipelines, are the protestations of fossil fuel addicts, who haven’t yet confronted their addiction. And it is and will be very difficult for us, particularly here in North America, to confront our fossil fuel addiction as well as lessen our impact on the climate more generally, individually and also as a society as a whole. We are, all of us, in various positions along a continuum of lesser to greater individual or family climate virtue, whether by intention, by pre-existing preference, or by level of means, though in the developed societies, we are as individuals and families bunched towards the less virtuous end of the spectrum in terms of the stability of the climate. However, as many people know, individual and familial efforts even if all of us were paragons of climate virtue within our various means, do not add up to the systemic changes required to cut emissions on a grand scale across the economy. The vision of climate action as simply the accumulation of individual and familial choices overlooks the importance of public goods like infrastructure and the design and locations of cities and towns, which can only be changed by government action or other coordinated collective means. 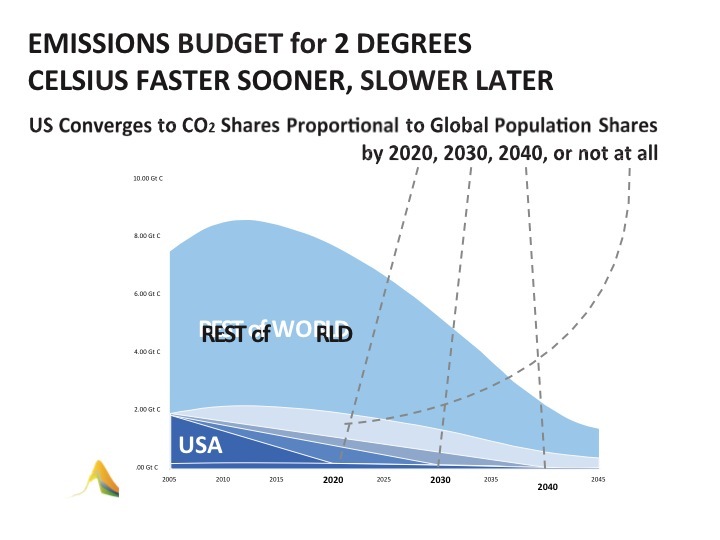 This fact alone reveals that market-based instruments (either cap and trade or carbon taxes) are more likely auxiliary policies rather than the central policy structure to transform our societies. 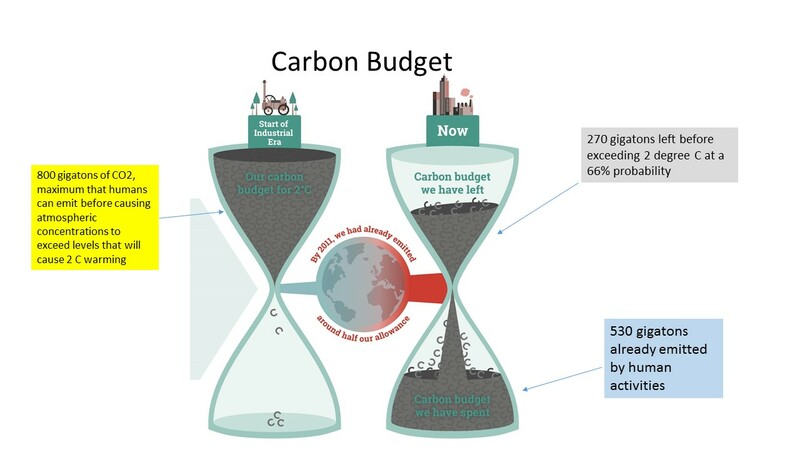 Carbon pricing instruments, at least in the form of a gradually escalating carbon price, are “nudges” when we are needing in many areas a reversal of direction and a major concerted push, or time will have run out on our best intentions. Among those who have taken some interest in addressing climate change, there have over the last decade or so been discussions about whether a focus on curtailing the activities of the fossil fuel industries or a focus on reducing demand for fossil fuels is the right single or leading method to move society into a transition away from fossil energy. Economics is divided on the subject of what is the primary cause of business activity in general, though strangely in the area of curtailing fossil fuel use, almost everybody is a “Keynesian” in the sense of theorizing a demand-led business cycle. Keynes is the most influential economist who challenged the old dogma of Say’s Law that states that supply creates its own demand; i.e. “build it and they will come”. With, in theory, supply no longer controlling the business cycle, Keynes advocated stimulation of demand via government spending and/or tax cuts as a cure for economic depressions caused by what turned out to be a collapse in demand. With fossil fuels, a large majority of economists that contemplate climate action advocate a price on carbon, either a tax or a permit to emit, which would reduce demand for the fuels without restricting supply. By contrast, this is the reverse of the current right-leaning consensus among policymakers regarding what to do about unemployment, which prescribe, almost exclusively, supply-side solutions. The unemployed or youth are said to lack the proper skills, so the focus is on skills training and educational reform would supposedly create jobs. Meanwhile few economists are advocating curtailing the activities of the fossil fuel industry or rationing fuel, both supply-side measures, to meet the challenge of global warming. This could be seen as a tribute to the relative political power of the fossil fuel industries and high-consumers of fossil energy (large corporations and the affluent) versus the power of the unemployed and youth; the former are treated, if at all, with gentle “nudges” while the latter are viewed as “clay to be molded” by elites. The divide between supply- and demand-side policies is a byproduct of mainstream economic assumptions and academic disputes that some heterodox economists criticize, yet have not yet presented an alternative causal model of business and sectoral development. Presented in current contretemps between self-identified Keynesians and anti-Keynesians as an “either/or”, a longer view look at economic history suggests that the causal role of supply and demand are historical and sectoral snapshots of the complex unfolding of the actual economy. Due to the rapidity of energy transition required for human civilization to survive as well as the need for a change in energy systems, a combination of supply- and demand-side measures are required, together applied with as much force and speed as possible and effective. Supply-side restrictions of fossil fuels, for instance, would create a feedback loop where a restriction of supply will for instance act as a virtual “carbon tax” as oil companies charge more for their scarcer product. This should be seen as intentional rather than accidental, if one is advocating that both supply and demand be simultaneously curtailed. At the same time, government needs to supply or help design and subsidize the building of many of the connective pieces of a zero-carbon infrastructure. A new source or switch of suppliers is not well theorized by the supply-demand framework. Even the institution and maintenance of an effective demand-side policy, advertised as the more moderate and “reasonable” solution, would in reality require a high degree of ethical commitment by the polity to effective climate action, more than the neoclassical economic fantasy of what constitutes the human being could accommodate. 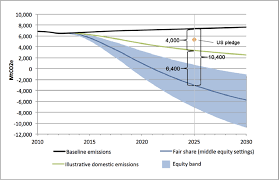 A behavior-changing carbon price (a tax or fee) of perhaps $150-200 per metric tonne CO2-equivalent emissions (with or without a refundable tax credit, sometimes called a dividend to blunt its regressivity) would require sacrifice differentially among economic sectors and groups, as well the need to change comfortable habits and ways of life. Such sacrifice would need to be openly acknowledged beforehand, requiring people, as citizens beyond their roles as consumers, to develop an ethical commitment to the large-scale task of preventing climate catastrophe. A political campaign on climate that focuses its anger and claims of responsibility only on the role of the fossil fuel industries and their political surrogates is naïve: their power is sustained by the number of paying customers available for their products, as well as their accumulated wealth from a 225-year history of fueling industrial growth via fossil energy. On the other hand, campaigns that focus only on demand-side policy, on the population’s demand for cheap, polluting fuel, tend to overlook the effects of the massive political-economic disinformation campaign by the fossil fuel industries and their political surrogates on laming climate action once human-caused climate change was recognized internationally as a problem around 25 years ago. The assumption of demand-side policy is that our “appetite” for the products and services that fossil fuels enable is the driving force and therefore a wide-swath of the developed world is culpable for climate catastrophe. Holding ordinary consumers in the developed world responsible on an individual basis for the continued dominance of fossil fuels either implicitly or explicitly is unfair and unrealistic. Some combination of an appeal to the moral sense of each individual as well as an appeal to macroethical justice for those who have delayed climate action and profit from climate inaction is required for climate action to be both heart-felt by many and also politically and economically astute. Furthermore, there is a third category of people who have neither made executive decisions nor consumption/purchasing decisions that have had significant climate impacts. Some of these people live in poverty in the developing world or are too young now to have made significant decisions about how to live their lives yet. These people will pay the price of the decisions of others yet are or will become responsible for protecting the climate from further negative change and devastation of a conducive life-world for them and humanity more generally. Their responsibilities then start now or lie in the future. I am proposing then that we subdivide responsibility into three categories or levels with regard to climate change, though this type of subdivision may be applicable with other large scale societal institutions and events. In delaying action on climate, some people have had a much greater role than others in prolonging our addiction to fossil fuels. As a parallel example, many legal jurisdictions, for instance, assign a higher culpability to drug pushers/dealers than to drug addicts, though unfortunately the latter group is in the United States subject to excessive legal penalties for non-violent drug offenses. The dealer/user distinction found in many legal codes should be carried over to the politics and ethics of global warming. Around global warming then, at the current juncture in history, we can say that there are those who have primary moral responsibility for causing climate catastrophe, a much larger group of those who have secondary ethical responsibility for climate catastrophe, and a still larger group who are bystanders in terms of causality of global warming to date but will need to assume some responsibility in solving the climate crisis. The growth of a political movement will be in part by determined by how these relative responsibilities as we will see below will be addressed by climate politics and climate policies. With large-scale complex systems such as energy infrastructure, an industrial economy, or an entire civilization, it is fair to distinguish between historical responsibility and ethical responsibility. The socially-constructed complex systems we live in are the product of generations of decisions and actions by our ancestors as well as those now living, some of whom may be retired from positions of power and authority. There are those who set up and reinforced the fossil-fuel-dependent industrial base of our civilization who were and are responsible but cannot be said, because of their lack of awareness of global warming and the continued dominance of fossil energy up to the present to be ethically responsible for global warming. John D. Rockefeller, Henry Ford, Franklin Roosevelt, Robert Moses, Dwight D. Eisenhower and many others made crucial decisions in the design of American civilization. The American model of development remains one of the primary models for many developed and developing industrial cultures from early 20th Century onward that, of course, require a large supply of fossil energy with current infrastructure. These historical figures and others hold historical responsibility but they cannot be held ethically responsible for global warming as they were not made aware of the consequences of their actions at the time. We then can only discuss the ethical responsibilities for global warming of those in the current generation because a crucial piece of that ethical responsibility is having been made aware, in this case, by the geosciences and in particular climate science, of the consequences of maintaining the status quo in these complex large-scale systems. 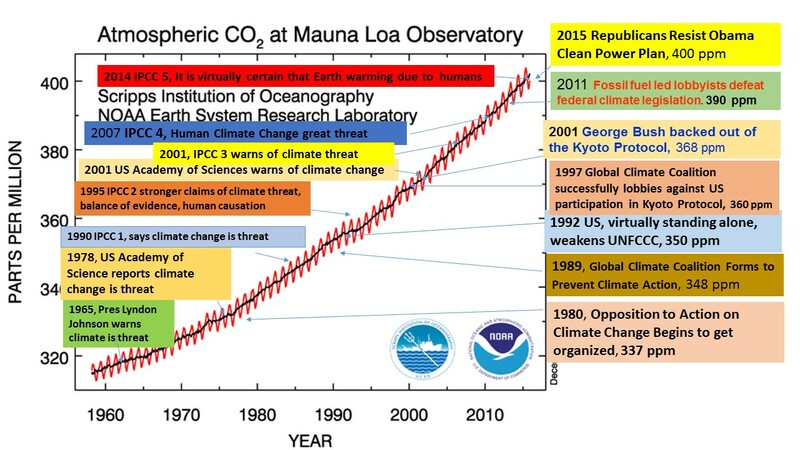 Global warming emerged as a very strong hypothesis in the then-obscure scientific discipline of climate science in the 1980’s with mounting empirical data supporting the human role in increases in greenhouse gas emissions, particularly carbon dioxide. 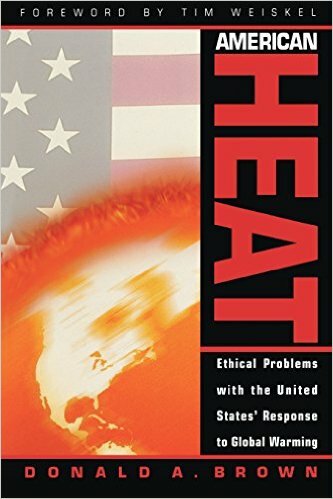 The climate science community alerted policymakers to the danger in the late 1980’s with among other events, James Hansen’s dramatic testimony to Congress during the heatwave of 1988. 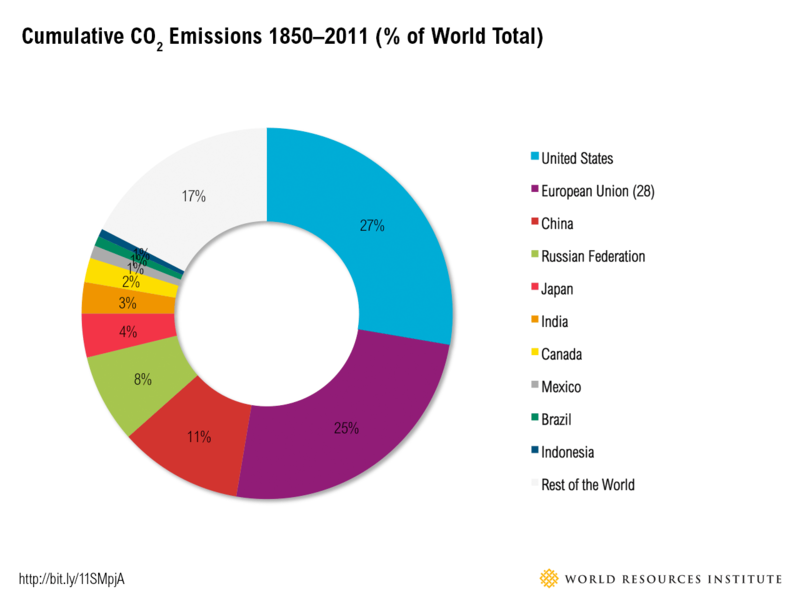 From these interactions and subsequent meetings between policymakers, there eventually emerged in 1997 the UN Framework Convention on Climate Change with the Kyoto Protocol and its emissions-trading (cap and trade) instrument selected as the general policy tool to reduce emissions worldwide. Emissions trading is an implementation of the economic idea of carbon pricing, the idea that an escalating carbon price will shape economic behavior to emit less greenhouse gases, while supposedly being able to meet an overall “cap” in quantity of emissions, set by policymakers. 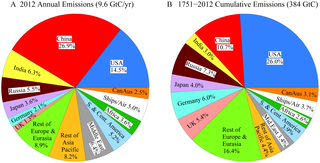 While the Kyoto Protocol had already been set into place as the primary solution to climate change, the historian of science Stuart Weart marks the point at the year 2001 where climate scientists had actually reached a consensus that human activity was warming the planet via GHG emissions and land-use changes, the former largely from fossil fuel use. Having been alerted of an impending catastrophe in 2001, perhaps in terms that were soft pedaled at the time and filtered through the politics of national governments, it can be said in theory that all adults in the world were at that point informed enough to know that they had an ethical responsibility as citizens and consumers to address climate change. Even if the emissions trading instrument chosen by the UN was and is opaque and faulty, as it turned out to be, theoretically it was then and is now incumbent upon people as citizens to correct or amend climate policy. 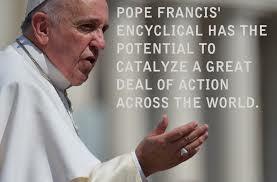 It is incumbent on everyone to act in some way to save the climate. Existing solutions and actions are insufficient to address climate. There must be a search for new solutions on political and economic levels to climate. These new solutions must be implemented until such time as we see radical reductions in the emissions of warming gases. This document is part of this transmission of responsibilities. The climate change denial industry acts as an effort to delay the realization and transmission of ethical obligations as well as deflect accusations of immoral behavior or deficient character on those who continue to drive us toward climate catastrophe. By attacking the level of certainty that people may hold with regard to either the existence of or human causation of global warming, climate change denial has attractions for those outside the inner circle of beneficiaries from the fossil fuel industry who do not want to reckon with either changes in their own lifestyle or with the increased role of government required by effective climate action. Climate denial functions to blunt either the pangs of internal conscience or to deflect accusations of climate destruction or sluggish inaction. As hinted at above, ethical responsibility with regard to taking action on climate is not discharged simply by committing to a putative or first-offered greenhouse gas emissions reduction plan, but effectively seeing through the execution of that plan. If the plan first selected is ineffective or not sufficient effective, either via prima facie analysis based on its highly likely outcomes or by empirical results, then continued subscription to the initial reduction plan becomes itself as unethical as inaction. One’s ethical responsibilities in this case are discharged by effective actions, not by expressions of good intention or commitments to climate virtue in the future. As discussed above, responsibilities and therefore accusations of culpability with regard to the impending climate catastrophe should not be equally distributed. Responsibilities are differentially distributed in society already by the different levels of power that people exert in relationship, largely, to their roles in the social institutions relevant to a given phenomenon. A fire chief is more responsible for extinguishing fires throughout a town than a baker or for that matter a trainee in the fire department. Now, 13 years after 2001 and 22 years after the 1992 Rio Summit that initiated international action on global warming, we can determine with a high degree of certainty that some people bear primary responsibility for at least the last decade if not the longer 22 year delay in substantive climate action. To bear primary responsibility means to have been exposed to the overwhelming scientific data and analysis on anthropogenic global warming and willfully and misleadingly denied or acted in ignorance of that consensus. Additionally primary responsibility for climate catastrophe falls on those who bear substantial responsibility by dint of economic positioning, scientific obfuscation, political patronage, political influence or political position as to the direction of our political-economic system, where that system effects our society’s energy and land use and therefore climate impacts. 1) “Denier-Leaders” – Political leaders that over the past 13 years to the present have promoted denial or unscientific doubt of anthropogenic global warming and its highly likely negative effects or have promoted, voted for, passed into law or administered local, regional or national government’s transport, land use and energy policy as if there were no ongoing catastrophic, human-caused global warming trend. 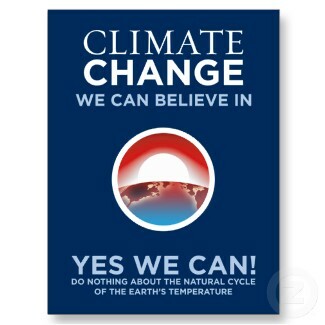 Much of the current U.S. Republican Party leadership and Congressional delegation as well as the leadership of other right-wing parties in a number of countries including Canada and Australia are thus primarily responsible for the continuation of our global warming trend. 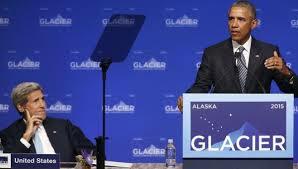 These politicians can be viewed as spokespeople for the fossil fuel industries of their countries. The slightly more respectable “doubter” position has similar effects to “denial” in sensitive positions where the critically important instrument of government is either put to work to change the energy system or in the case of denier-leaders, used to reinforce the fossil energy status quo. 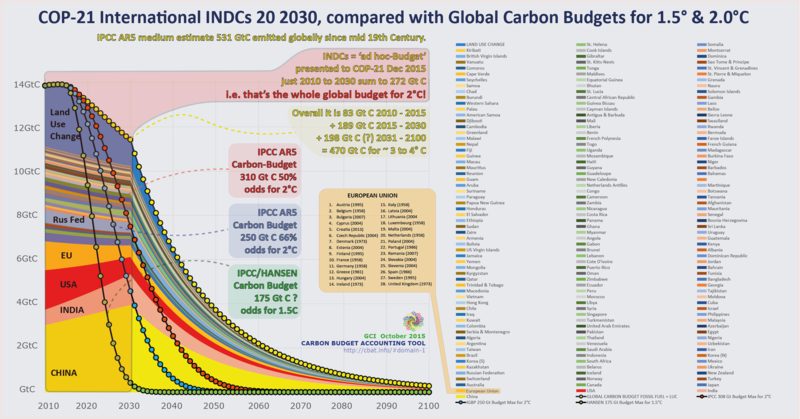 2) “Lip-Service Leaders”- Political leaders on the local, regional, national or UN levels that acknowledge human-caused global warming exists and is a problem but either a) support the expansion plans of the fossil fuel industries as they veer into “extreme” extraction techniques, b) support “fig-leaf” or ineffective climate policies such as most existing emissions trading schemes, c) continue to subscribe to the fiction that natural gas is a “bridge” fuel to a greener future or d) some combination a) , b) and c). Many of the center and left-leaning political party leaders and political representatives in the US and around the world fit into this category. 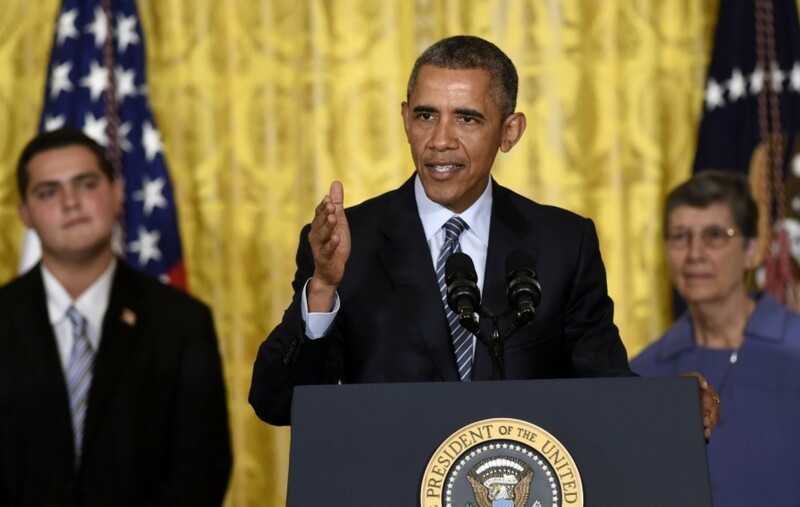 Barack Obama is a leading example of category “d)”. Likewise the leadership of fossil fuel exporting nations such as Russia that acknowledge climate change but are sluggish to implement effective policies are similarly primarily responsible for global warming. The weakness of the policy proposals and leadership on climate of this group is a reflection of compromises that these groups make with climate deniers, with the power of the fossil fuel lobbies, and with the dominance over the past 30 years of neoliberal theories of government’s fallibility and the market’s infallibility. However their stance and the policy infrastructure they have erected are, in many ways, a dangerous diversion of attention from designing and implementing more effective and timely climate action that involves both direct investment by government as well as regulation of markets via rule-making and tax policy/direct carbon pricing. Both “Lip-Service Leaders” and “Denier Leaders” are avoiding the difficult though necessary confrontation with both the fossil fuel industries and with their own political constituencies. These leaders have turned away from the task of preparing their constituents to wean themselves off or pay more for fossil-dependent conveniences available in developed nations. Additionally these leaders have avoided providing their constituents with the public funding and programmatic guidance to enable them to devote themselves to remaking the energy and transportation basis of our societies for their and for future generations’ benefit. 3) “Climate Destruction Sponsors” – There are some extremely wealthy people, most of which have or have had substantial investments in fossil fuel extraction and sales who have funded climate science denial efforts by institutions such as the Competitive Enterprise Institute and the Heartland Institute as a means of delaying action on climate change. These are the funders of the odd collection of scientists that Naomi Oreskes has termed “the Merchants of Doubt”. The Koch Brothers and the corporate leadership of Exxon/Mobil are the most famous of these funders, who also have almost their entire business empires devoted to fossil fuels. There are also a large tranches of funding that are donated as “dark money” via Donors Trust and Donors Capital Fund directed in the direction of delay of climate action. These sponsors (who may also be profiteers from delay of effective climate action) cloak their activities in the rhetoric of “freedom” or the fictions of free market economics, distracting themselves from the physical consequences of our emissions trajectory as well as distracting others from their often substantial financial interests in climate destruction. 4) “Climate Destruction Profiteers” – There is substantial overlap between the “sponsors” group and those who profit from the destruction of the climate but what I am calling the “sponsors” have shrouded themselves in the ideological mantle of the dominant neoliberal political philosophy that idealizes markets. The Koch Brothers are of course also profiteers on the destruction of the climate as are major stockholders and share owners of large and medium-size fossil fuel companies. There are others, high level employees and strategists of major oil companies, who are driving the business of fossil fuel extraction and can no longer take the defense that they were just following orders. The same goes for passive fossil fuel investors, who have become the target of the “Go Fossil Free” fossil fuel divestment campaign. At some point, at lower level employees or small service businesses within the oil, gas and coal industries, the argument can be made that the existential needs of their families keep them in the business, rather than the accumulation of profits. At these lower levels of the organization or market segment, it can be no longer said that they bear primary responsibility for climate catastrophe and their work or business would simply be replaced if they withdrew bids for business, if they quit, or would be fired if they sought to change the terms of their work. 5) “Media Deniers/Equivocators” – Newspapers, magazines, television, and Internet journalism play key roles in telling people what they should think about and how they should think about it. While there are obvious prominent owners of right-leaning media, like Rupert Murdoch of Fox News and News Corporation who are climate change deniers or “doubters”, the media in general in the United States and other key countries has suppressed or downplayed the story of global warming, delegating it to obscure web-only blogs or leaving it out entirely of their offerings. Instead of a steady drumbeat of stories reminding people of the present danger, media outlets have tended to reflect the “comfort zone” of a political spectrum where one side is devoted to half-measures and lip service while the other is militantly against the idea of human-caused global warming because it contradicts their political-economic ideology. Many media outlets for too long have seen their work as trying to “split the difference” between two opposed sides on a number of issues, including global warming, rather than investigate the terrifying facts, report those facts as well as who is representing those facts more truthfully. In the United States, a critical role has been played by among others by environmental reporter Andrew Revkin, who at a critical point turned over his blog at the New York Times to largely serve as a forum for doubt and contrarianism about basic climate science. It cannot be underestimated how much the doubt sowed by supposed environmental journalists has distracted readers from the critical questions of how to deal with impending climate catastrophe. 6) “Characterological Contrarians/Merchants of Doubt” – The fodder for much media coverage of climate change has been supplied by the self-styled courageous “skeptics” that claim to challenge the climate science consensus that human activity is driving global warming on supposedly scientific grounds. Using scant data and ignoring most findings that suggest warming, these “merchants of doubt” have attempted to suggest that political motivations and/or sloppy science has led to the what would amount to a massive “conspiracy” of climate scientists to assert that humans are causing global warming. While in science, true skepticism is welcome, the climate “skeptics” play primarily to a political and media audience and some have received funding from the “Climate Destruction Sponsors”. While some deniers may be driven by a psychological compulsion towards contrarianism, this also leads to the “reward” for some of enjoying a great deal of attention as well as some financial support. Whether paid or simply driven to contradict for psychological reasons, this group has with the aid of the media and their sponsors, helped humanity continue on its destructive path vis-à-vis the climate, providing reassurance to the ill-informed and to those with more malevolent or destructive intentions. 7) “Fossil-Dependent Electric Utility Executives & Large Shareholders” – One of the prime consumers of coal and natural gas is the electricity generation industry, which consumes almost all of the coal produced in the world, and a high percentage of the natural gas. While many electric utilities have built their capital intensive infrastructure around the availability of fossil energy to drive their generators, utilities have had the choice to lead the transition to a zero net emissions energy system via the use of renewable and nuclear energy to generate electricity. Electric utilities have for the most part only under the duress of regulators moved towards renewable energy and energy efficiency. Some have made gestures towards acknowledging that we live in a carbon-constrained world, only to continue on with the fossil fueled status quo. New nuclear generation has not been an option in many areas, as there have been prohibitive technical, environmental and political challenges associated with building and operating new nuclear plants. Many utilities continue to undermine the spread of renewable energy, in part because it has meant a loosening of their monopoly on electricity generation. Unfortunately this has also meant with few exceptions that they remain prime supporters of the coal and natural gas industries. In the first 20 years of carbon policy, as noted above, policymakers’ almost exclusive focus on “market-based” policy rather than the combined political-economy as a whole including direct public investment and utilizing the policy space available to monetarily sovereign government in the area of fiscal policy more generally. In turn, the choice of a market regulation that relies on a financialized concept (emissions trading) rather than a binding tax obligation. Emissions trading systems have been intentionally riddled with loopholes to enable companies to postpone cutting emissions as well as mute the carbon price signal that would favor the lower-emitting products or services on the market. The politically- or philosophically-motivated devaluation of the reputation of government by neoliberal academics, business leaders and government officials has made much more difficult the effective deployment of government to address climate change. Governments not markets, particularly monetarily sovereign national governments, are the central institution to transform the energy and systems and social practices that require fossil fuel inputs. The ballooning of private debt in step with worldwide ballooning of real estate/asset bubbles is a product of a financialized political economy that has shunned public provision of financial assets via government spending in favor of debt issuance by banks. Mounting private debt claims a portion of nominal economic growth for debt service and therefore increased emissions that contributes only to the welfare of the credit issuers, mostly large financial institutions or speculative traders and not to overall social welfare or, on average, net incomes of the borrowers. 9) “Austerity-Mongers” – A subset of neoliberals and the latest iteration of the neoliberal philosophy after the 2007-2008 financial crisis are the advocates of fiscal austerity, which is a hyperaggressive campaign of sabotaging government functions from within by arbitrary restriction of government spending, leading to the giveaway of public functions and assets to supposedly more efficient “market” actors, i.e. private corporations. The pretext for this fire-sale of the public sector is the intellectual and/or politically-motivated confusion in mainstream economics of financially-constrained local, regional, and Euro-Zone nations that do not control their currencies and the governments of countries like the US, Great Britain, Japan and many others that issue their own currencies. Austerity-mongers claim that all public entities are “running out of money” for social programs and public spending projects, when the latter can at will create more currency units to pay for necessary projects. Austerity advocates are knowingly or unknowingly the useful idiots of the bloated financial sector, as artificially limiting government expenditure and giveaways to public assets, makes more room for and dependence upon private debt issuance. While some austerity mongers, like David Cameron in Britain, claim to care about global warming and may believe that the fictional shortage of government money he promotes is a stand-in for the real shortage of atmospheric assets of the earth, the overall effect of austerity is to, as with neoliberalism more generally, to undermine the critically important instrument of government at exactly the time when it is needed most. One leader of the U.S. austerity drive, Wall Street billionaire Pete Peterson, seems to have no position on climate change but nevertheless continues on his quest to hand financial dominion over the economy to Wall Street and scuttle the power of government to mobilize real assets by public spending for public purposes. The timing of this drive for power by the private financial sector, cloaked in the rhetoric of fiscal prudence, could not come at a more inopportune time for the collective good of the current and future generations. 10) “Leaders of Large Organizations without a Low-/Zero-Carbon Strategy” – Besides electric utilities, much fossil energy or electricity generated by combusting fossil fuels is consumed by large corporations, non-profit organizations, and departments/ministries of various governments throughout the world. These large organizations are some of the major customers for oil companies, gas and electric utilities, sustaining demand for fossil energy. While a high-enough carbon tax/fee would provide a financial incentive for organizations to transition off carbon-based energy, it makes sense for many to anticipate this move by starting an energy transition before it is a requirement. Those organizations that move sooner will have greater advantages and also contribute less to emissions overall. For some sectors this is much more difficult than others and therefore the obligation is greater for leaders of organizations in sectors where technological or organizational process choices already exist. Those primarily responsible for accelerating and exacerbating the degradation of the climate do not generally make decisions in isolation about energy policy or the course of our society but as part of larger social systems in which there are many participants, workers, co-beneficiaries and counter-parties. The use of fossil fuels has made the physical lives of many in these countries much easier, as human labor is either aided or replaced by mechanical work fueled largely by fossil fuels. While these fuels may have brought into the production process primarily to increase profits for the owners of a business, the mechanical work of machines has had secondary benefits for workers especially with the advent of consumer durables and Fordism, the ability of those in the lower middle and working classes to afford major energy using devices like automobiles. The powers and convenience conferred on poor, working-class, and middle-class individuals by participation in a majority fossil fueled energy system are great in comparison to the existence of those in “Dickensian” early industrial society and in comparison to those in underdeveloped societies currently. Much of the relative physical ease of those in developed nations would be much sought-after by those who must do hard physical labor to enjoy just a basic and uncertain subsistence in those underdeveloped societies. Most residents of the wealthier OECD countries (Western Europe, North America, Australia, Japan) and many of the wealthier residents of the less wealthy OECD (Eastern Europe, Mexico) and developing countries have secondary responsibility for impending climate catastrophe. It is patronizing and fatalistic to assume that people in positions of relative but not absolute powerlessness, who nevertheless benefit from a high carbon-emitting society, are entirely bereft of the ability to chose and therefore of power. With that power comes moral responsibility, especially as their/our activities and choices lead to durable “memorials in the sky” in the form of carbon emissions. So while there are those with primary responsibility for the ongoing climate catastrophe, who have had a central decision-making role, there are largely passive beneficiaries who can additionally be used as ideological cover by those with primary responsibility. The benefits that the services that this broader swath of the population enjoys from our energy- and carbon-intensive society can be put forward as a quasi-sacred duty, by those who defend the energy status quo. And many who enjoy these conveniences agree that these are indeed valuable goods or services offered by our energy-intensive society. However, that these enjoyments are leading to a negation of all of our work and our desires to build a future for our family and loved ones should give us all pause. The question for each remains: “Which is more valuable: our current satisfactions or the satisfactions of many future generations?” It is this, what I am calling “secondary”, moral responsibility that can be the basis of action as citizens and consumers start upon the road of transforming societies and economies. Without recognizing this secondary moral responsibility, a movement for climate action will be inconsequential and unserious. Prospectively, the movement for climate solutions draws from those who are secondarily responsible for climate change as political activists and leaders. This process involves recognizing one’s own agency and choices, an ethical process, and fomenting a broader discussion and subsequent actions that remedy to some degree the damages done to the viability of the earth for human life and civilization. Furthermore, there are many people in the world, mostly the billions of poor in the developing and underdeveloped world, who may wish to enjoy the ease and benefits of a supplementary-energy powered society but have not yet enjoyed them. Or they may be satisfied with some version of their own current lifestyle with or without the addition of some of the conveniences offered by supplementary-energy powered technology. While they have had very little of the benefits of fossil fuel use, there are still matters of choice and moral agency which are entirely their prerogative, as the climate catastrophe sweeps the globe. Those with tertiary moral responsibility, who aspire to a better life, have a choice to pursue a more or less carbon-intensive lifestyle and development path, even as they are by international agreements entitled to pollute more than those who pollute less. Secondly, as the effects of climate change mount, it is incumbent on them, as it is every individual, to help protect their families and their nation more generally from the effects of climate chaos. They could become powerful political agents and world political leaders, which is a process that involves moral choices, in favor of climate solutions that makes the earth more habitable for all. While the notion of degrees of responsibility may seem obvious, this is a departure from the assumption of a “perpetrator-victim” or “transgressor-transgressed” model for relationships assumed by many who discuss the relative blame or varying moral rights with regard to underdevelopment and climate change. In politics and in other stress-ridden domains of life, there are tendencies for people to engage in milder and more severe forms of the psychological defense mechanism called “splitting”. In “splitting”, a defense that emerges in early childhood, children imagine that some people or things are “all-good” and some are “all-bad”. They are “split” because the child cannot see “shades of grey” in goodness and badness. Many of the fairy-tales of childhood are built around children’s attachment to “all-good” and fear of “all-bad” characters. There are contexts in adult life where splitting is a cultural norm though one could argue it also has deleterious effects. The adversarial process in legal proceedings as well as political conflicts between parties are two of the main cultural institutions where a polarization of good and bad is encouraged in peacetime and in wartime or international conflicts, there is often a tacit acceptance of jingoism in public discourse. In many parts of popular culture particular in action and suspense movies, television and games, the polarization of good and bad becomes the prelude to various forms of combat and dehumanization of antagonists. Splitting is particularly unrealistic in dealing with the differential responsibilities for climate catastrophe. The entire developed world is implicated by its dependence upon fossil fuels to function yet some have over the past few decades struggled valiantly to change this while others have fought to keep the status quo. Some who have fought for what they thought were climate solutions, have in my opinion and given the trajectory of emissions, been fighting for ineffective instruments and with the wrong allies (the finance sector). Even if we have been fighting for the most effective and appropriate tools to reduce emissions, we are still to some degree morally responsible for the impending climate catastrophe. On the other side, those who are primarily responsible are not necessarily “all-bad” but they still are primarily responsible for causing grievous harm to the climate that has been favorable to human growth and civilization. Already a different animal than co-evolved species, humanity has initiated as a byproduct of its activity over the last several decades, if not before, a new geological era that scientists are calling the Anthropocene. The Anthropocene means that what marks this era in terms of geologic phenomena are the traces of human activity on the biosphere, the atmosphere, and even the geosphere, of which the mining and burning of fossil fuels is one of the most powerful agents. But human-caused climate change is only the most critical of a number of ways in which humanity is putting its imprint on the planet, having effects that are largely unintended by people with feedbacks that are out of the immediate control of humanity. This places humanity in an unprecedented situation as a species. While many different animal and plant species can be said to shape their various ecosystems by activity “pre-programmed” by their genomes, no single species until human beings has had its own future within its voluntary control via the outsized impacts it has had through its tool creation and use and through the ability to coordinate social activity, think alone and deliberate together via the use of language. Humanity is both endangering its own future and has the potential to secure, within the limits of untoward events occurring in the universe or an upsurge in violent geological activity, its own future. In order to meet the evolutionary challenge of an environment that no longer will accept the byproducts of human activity without destroying our future, we will have to care enough about ourselves and future generations to institute new systems and sets of rules that coordinate nationally and internationally our use of the environment, starting with the concentration of warming gases in the atmosphere. A recognition of our agency (our “ability to do”) and our ethical choices in the immediate past, now and in the future, is an important starting place for this evolutionary journey.